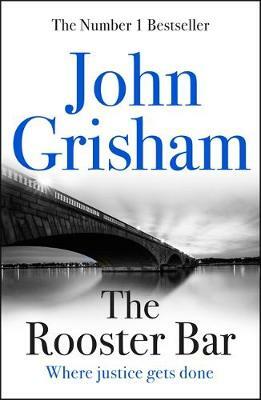 The Rooster Bar by John Grisham. What’s to say about John Grisham – except SUPERB! Some of my favourite books and films. The Rooster Bar is another winner and is utterly engrossing. It’s an ingenious novel relating to a group of third year law students Zola, Mark and Todd who spend much of their spare time in The Rooster Bar where Todd serves drinks. They realise that they have been conned. They went heavily into debt borrowing money to pay for the courses at a poor law school where the graduates rarely pass the final bar exams and then get low grade jobs when they do. They find out that the law school is one of a group of them owned by a dodgy hedge fund in New York who also specialise in student loans. Deciding that they want to get their own back, they realise that there may also be a way to make some cash into the bargain. The Rooster Club is a great novel by a fabulously inventive writer, John Grisham.